Esther “Etty” Hillesum (1914-1943) was born in the Netherlands. Her father, a scholar, taught classical languages. Her mother had been a refugee from Russia. Etty’s education was first in law, and then in Russian at the University of Amsterdam. She had two brothers, one a gifted musician and the other a physician. Her family was Jewish. Hillesum left a diary which gives us some insight into her life. She began her diary in 1941 at the same time the Germans occupied the Netherlands. But this was not the reason for her diary. She used her diary to think about and understand human nature. This led her to religious insights that helped her to develop a mystical relationship with the God inside of her. Jews may no longer visit greengrocers’ shops, they will soon have to hand in their bicycles, they may no longer travel by tram and they must be off the streets by eight o’clock at night. The latest news is that all Jews will be transported out of the Netherlands through Drenthe Province and then on to Poland. And the English radio has reported that seven hundred thousand Jews perished last year alone, in Germany and the occupied territories. And even if we stay alive we shall carry the wounds with us throughout our lives. And yet I don’t think that life is meaningless. And God is not accountable to us for the senseless harm we cause one another. On July 1, 1942 she wrote I am in Poland. I often see visions of poisonous green smoke. And on July 11, 1942: The Jews here are telling each other lovely stories: they say that the Germans are burying us alive or exterminating us with gas. But what is the point of repeating such things even if they should be true? Every atom of hatred added to the world makes it an even more inhospitable place. … yet we could fight war … by releasing, each day, the love that is shackled inside us, and giving it a chance to live. …later when I have survived it all, I shall write stories about these times that will be like faint brush strokes against the great wordless background of God, Life, Death, Suffering, and Eternity. Etty returned to Westerbork and she survived there until September 7, 1943. 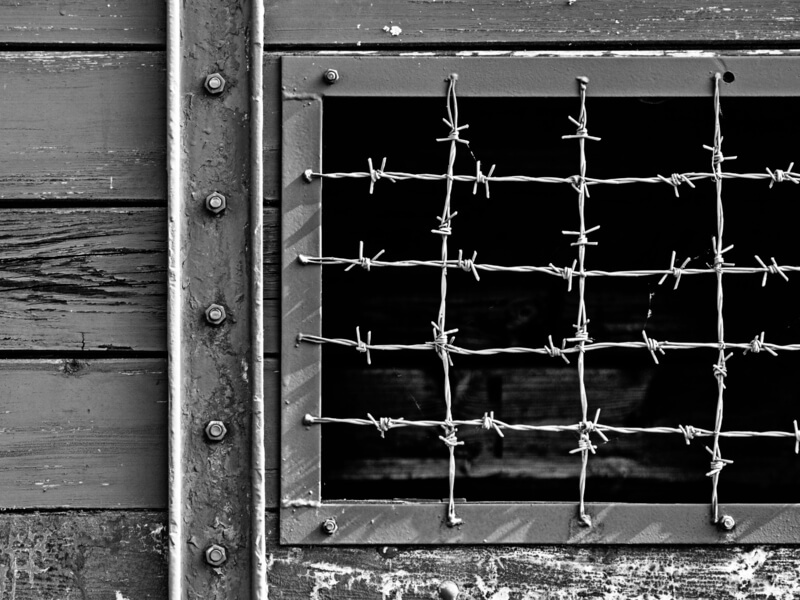 On that day, Etty, her parents and her brother Mischa were put on a transport to Auschwitz. Etty Hillesum died in Auschwitz barely three months later (November 30, 1943). You’ll find some more information about Hillesum in this film.